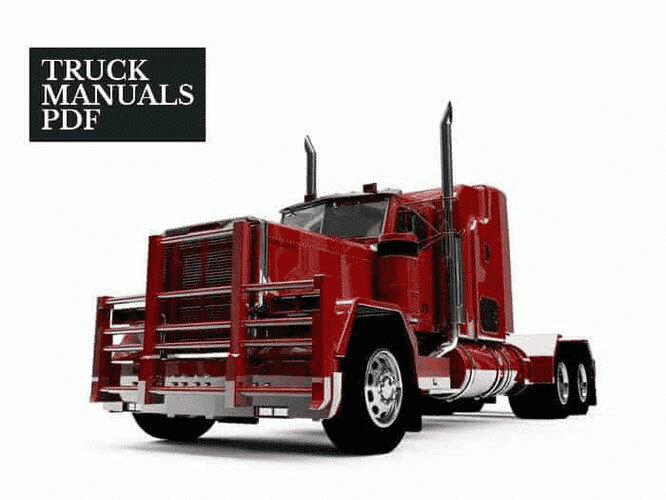 Some INTERNATIONAL Truck Manuals PDF & Wiring Diagrams are above the page. The history of the company, as it is not strange, began in 1831, when Cyrus Hall McCormick invented his sickle, a rough tool of rural production. At that time, the company was engaged in the automation of manual rural work, and the founders of International tried to automate the work of the sickle (it is worth to give credit, they were quite successful). From this unsightly inventory, the International Harvester, which was founded much later in 1902 as a result of the merger of the McCormick Harvesting Machine Company and the Deering Harvester Company, which led to the formation of the International Harvester Corporation (IHC) in Chicago, Illinois. The history of the automobile industry, perhaps, does not know examples when the giant of the automotive industry began its activities with a similar production. But the progenitors of International have produced, and it is necessary to say with success, not only agricultural implements, but also machines for spreading fertilizers, refrigerators, freezers, air conditioners ... But already ten years later, International experts seriously think about the production of trucks with air and water cooling engines . In 1912, International Harvester became a developed enterprise producing trucks with air and water cooling engines. In 1915, five new models with a carrying capacity of 0.75 to 3.5 tons, designated H, F, K, G and L, were assembled. All models equipped with four-cylinder engines were produced until 1923. From standard products to cars wheels from artillery guns with continuous rubber skates were established. By order on all models inflatable ramps were installed, except for the 3.5-ton, on which the design provided chamber tires. In 1928, International Harvester produces trucks with two-speed rear axles and produced the first semblance of a diesel engine. And in 1934 the angular form was replaced by a more streamlined, more aerodynamic one. 1936 is considered the time of release of six-wheeled trucks "Cornbinders" And in the period from 1938 to 1940 there were machines of the "D" series, after which the series "K" also appeared. These trucks were widely used during the Second World War and remained popular in the postwar years. In 1946, IH showed serious intentions to enter the market of Class 8 trucks, for this purpose, the K-series cars underwent a large-scale increase in dimensions and characteristics. The enlarged three-axle truck was equipped with either a Continental petrol engine or a Cummins diesel engine. Plants for the production of trucks were in Emeryville, California, and in Fort Wayne, Indiana. In the same year, 1946, West Coaster was released. In the cockpit of this car with a large windshield, consisting of two rectangular halves, three people could freely accommodate. It was an impressive truck, which was produced in variants either with a gasoline engine or with a diesel engine. Both cars were produced from 1946 to 1949. The "stubborn" form of the car cab of the "W" series strongly resembled the cabin of trucks "Kenworth" that was located above the engine of that time. The windscreen was flat, whereas the "Kenworth" glasses had curved corners. New three-axle trucks were equipped with either a Continental petrol engine or a Cummins diesel engine. During the period from 1953 to 1955, many changes took place in the production plans of International in connection with the production of the L and R series cars. In the late 1950s, another truck was built with a cab above the engine, "Emeryville" , also known as "Highbinder". On cars "Emeryville" of the end of 50th years the windshield with the central bulkhead was installed, there was also a modification with a sleeping place in the cabin. This peculiar truck was successfully used in the USA and was withdrawn from production in 1965. In 1968, the production of a heavier CO-4070A with a more powerful and economical diesel began. By 1974, the model SO-4070B was created - the first car, on the emblem of which the inscription "TranStar" appeared for the first time. "Tenneco" has merged this unit with their subsidiary company "JI Case"
"Scout & Light Truck Parts Business" (spare parts and light trucks) - in 1991 to "Scout / Light Line Distributors" Inc.
International Harvester Company In 1985, all that remained of International Harvester, were units for the production of trucks and engines, and on February 20, 1986 the company changed its name to "Navistar International Corporation". (The name of the International Harvester and IH logo was the assets of the Agricultural Division and therefore became the property of Tenneco, the name IH and the logo are currently in use, Case Corporation included it in its Case IH brand). IHC Corporation has also used the International brand in construction machinery and trucks, and this brand continues to be used in the products of the International Truck and Engine Corporation, a subsidiary of Navistar. We will consider that the history of the formation of NAVISTAR ends here and the company's latest history begins, which we will discuss later. Probably it must be said that to date NAVISTAR is the largest manufacturer of trucks, buses and engines for them. The company is also engaged in the production of such vehicles as MOTORHOME with pre-order picking. He constructs heavy tractor hangers with subsequent tests on specially designed stands. It is difficult to find an area of automotive industry that would not be affected by NAVISTAR.